I've been wanting to use my Chicopee fabric for a while, but I couldn't decide on a pattern. I saw something similar (almost exactly) to this quilt on Pintrest by HoosierToni and knew immediately I wanted to make it! It had the added benefit of being easy! :) This quilt is a 5x6 layout and is 67.5"x81" finished. Each cross requires roughly a fat eighth (9"x21") of fabric. If you have fat quarters, you can make 2 crosses per fat quarter. 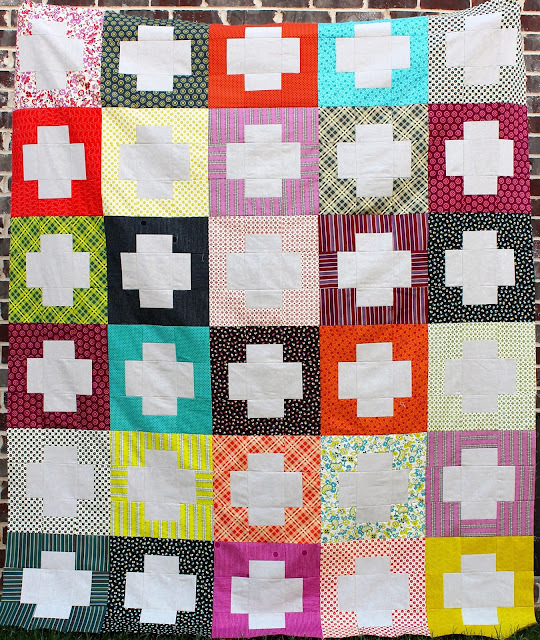 For this quilt, I made 30 crosses so you will need 30 FEs or 15 FQs plus 1.75 yards of solid. I'd get 2 yards of solid to be safe! 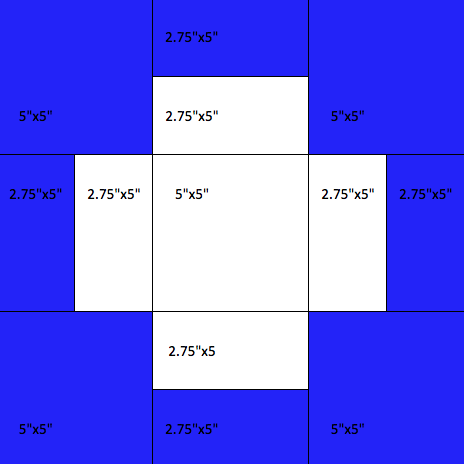 For each block you will need 4 print squares, 1 solid square, 4 print rectangles, and 4 solid rectangles. Sew each print rectangle to a solid rectangle along the 5" side. Press seams open. Create each block as shown below. Block is 14" unfinished. Love it! Thanks for the tutorial - got a perfect F8 bundle for this pattern! This is a great tutorial...I think I will book mark it and hope to find some time to get back to it.